I feel like you are doing same job twice. Kind of. Edited by revolut1oN at 08:53, 19 Nov 2017. I dont get the point of the second question. These projects are not alike, 3rd upgrade is not the same as an alternative. The extra units are probably going to be neutral. These two projects are made by independed persons. Kuririn, 'New Upgrades mod' creator wants to make second upgrades of all units. But sometimes he wants to make something 'fresh' - that's why he made shamans and other not connected to 'upgrading' models. Right now, Kuririn is working on upgraded Vampire Lord. He can't decide on a belt for him. I think that suggestions and designs for the additional upgrades would speed up things a bit. Edited by Lord_Immortal at 00:00, 11 Mar 2018. I've always stood for concept based on the M&M series creatures though I know most of Kuririn's work isn't. If you could tell me what creatures he has finished and what he needs concepts for maybe I can help. 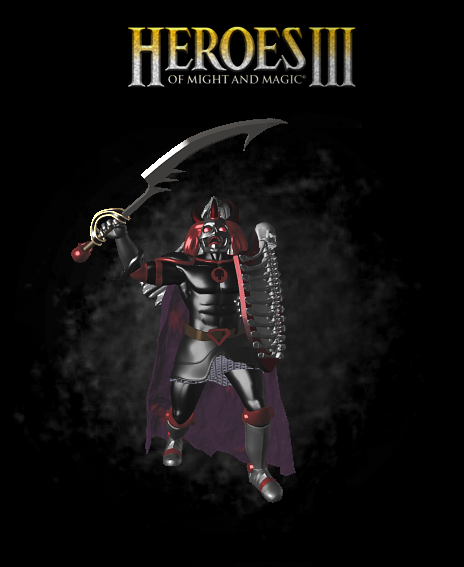 I have tons of Heroes III artwork and I played all the M&M games. But one suggestion of mine is not to make only new 2nd upgrades, but maybe new basic/1st upgraded units. For example, as beautiful as his Archmage upgrade seems, I'd go for an Initiate (M&M 6). EDIT: I'm not suggesting to replace what has been done and start again from the beginning, I just took an example of how things could be seen from a slightly different perspective. Or, for example, for Dungeon some units I'd suggest intermediate upgrades i.e. Minotaur Warriors (double-bladed axe but less armor than the Minotaur King) or Gazers (upgrades of Beholders with a pair of horns MM6 style - and Evil Eyes are the 2nd upgrade). In terms of stats these units would change, for example the Minotaur Warrior would have the stats of the Minotaur King, while the Minotaur King would have stats fit for a 2nd upgrade. This way creatures from M&M 6-8 and even Heroes IV titles can be implemented in a better way. Also there would be many creatures which would fit better with a new in-between upgrade or a new basic level creature. Edited by Kuririn at 00:21, 24 Mar 2018. Edited by Lord_Immortal at 12:26, 24 Mar 2018. Beautiful, but "Death Paladin" sounds a little odd as name. Maybe "Undead Paladin" would sound better? 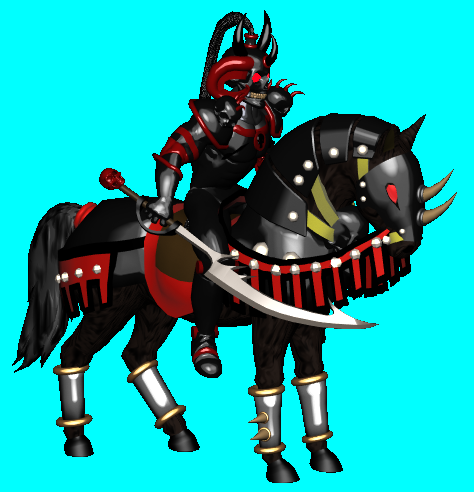 But, out of curiosity, wasn't there already a 3rd upgrade for the Black Knight here? I mean, you edited the sword, crest and put a lot of work on the shield as well (with those bones in the front parts), but considering the Black/Dread Knight's animations, how are we going to see the front part shield? Usually for something like that i'd call it a death knight or shadow knight. Fallen paladin may not be enough since it's more dead than fallen hehe but regardless it's awesome! any info on the release of this project? Edited by Gandalf196 at 00:58, 07 Apr 2018. It never ceases to amaze me that the love for this game can inspire such high quality work! Particularly, the Seraph model puts to shame virtually all efforts of Heroes HD from Ubisoft. It makes me seriously question whether there should be a Guinness record for World's longest unnoficially supported game. Because Ubisoft only fixed the images through photoshop. They didn't make models from the beginning. And I don't buy the story that they don't have AB/SOD source code. I just think that they didn't want to work on it extra time given the fact that RoE:HD had little success. Edited by Kuririn at 14:31, 10 Apr 2018. But I prefer the sword instead of the "harpoon" as well as on the box cover of the Heroes 3. Kuririn's fresh work: Gold Gorgon. All ideas for improvements are appreciated! Impressive! 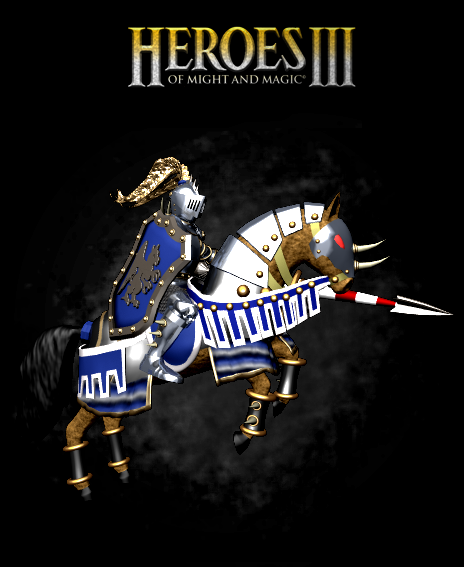 It makes me think we are living the Victorian Era of Heroes III! Ng= number of gorgons in a stack. Lg = level of the gorgons (always 5). Ne = number of enemies in the stack the gorgons are attacking. Le = level of the enemies being attacked. @kuririn u doin the animations too, or first all models, then go back doin the technicals details ? It depends. First I make models, sometimes I try to do some animations. But mostly I make models for now.